Collections management software helps museums, art galleries, and other businesses with large collections of art objects or antiquities monitor and maintain said collections. For a museum or art gallery, it is important to have a record of each piece in the collection that contains its location and other pertinent information, such as how it was obtained or its conservation or restoration status. Collections management software enables these institutions to digitize records, making it much easier to search for information about specific objects quickly and update that information when needed. Collections management software may be used by curators, conservators, archivists, researchers, and administrators to perform their daily tasks that help maintain the entire collection of an institution. Collections management software is often utilized in conjunction with either museum management software or gallery management software, depending on the institution. Museums may also use admission-based nonprofit software or donor management software to support daily operations. Galleries or auction houses may use auction software for art or antique auctions. Digital asset management (DAM) software helps any institution maintain a purely digital collection of images, video files, or audio files. Collections Management reviews by real, verified users. Find unbiased ratings on user satisfaction, features, and price based on the most reviews available anywhere. PastPerfect offers software program for collection and contact management. Gallery Systems has developed industry-leading Collections Management and web publishing solutions for over 30 years. From registrars to curators to conservators to collections managers and everyone in-between, we can help your team to streamline the way they manage diverse collections and exhibitions. We support over 800 clients, from small research institutions and schools to corporate collections and world-class museums. Gallery Systems is also on the cutting edge of museum technology, adding new products to our repertoire to support your collections. Our newest system, Conservation Studio, allows your conservation team to organize their data around the tasks and timeline that matters the most for their workflow. Conservation Studio consolidates everything from project management and treatment data, to reports and media. CatalogIt is an application for documenting the Story of Things. CatalogIt brings cutting-edge technology, real-time cloud collaboration, and intuitive, visual interactivity to your Collections Management System. 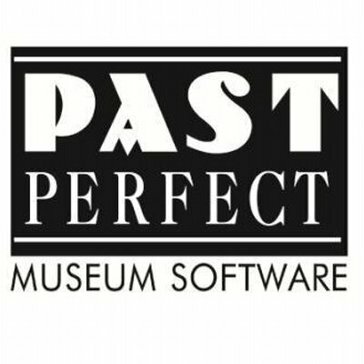 Your existing records can be migrated from general-use formats (like spreadsheets or word processing documents) or from common existing museum cataloging software systems, like PastPerfect. ArtBinder is an art gallery software that gives you customization, easy sharing, a secure syncing ability, and compatibility with existing software. artcloud helps you simplify your day-to-day work with comprehensive management tools for the modern gallery. Artlogic is a fully integrated and comprehensive fine art database solution, used throughout the world by galleries, dealers, artists, consultants, curators and collectors. Adlib Museum is specifically designed for recording and managing your museums collections data. ArtBase is an art database software that enables museums, dealers, not-for-profits, and galleries to manage inventory, contacts, documents and forms. 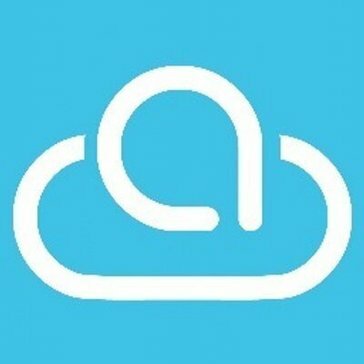 Artbutler cloud is a cloud based art gallery solution with built in inventory management, the ability to create showrooms, and easily show art. ArtEngine is a powerful cloud-based art inventory management system that allows you to keep high-res images and artwork information in one place and access your works online from any device, anywhere. ARTERNAL is a robust client relationship management (CRM) platform that is designed and developed for professionals and organizations that sell art. ArtFundi is a gallery management software that provides easy to use functionality and great design output that allows you to look professional, can respond quickly to clients, and keep track of everything from consignment agreements, to inventory locations, shipments, clients and sales. Art Galleria is gallery management software with contact & inventory management, gallery website services and integrations, and social media tools for artwork organizing, tracking, and selling. Artlook allows commercial galleries and dealers to plan exhibitions, track stock, generate catalogs, manage sales, suppliers, and marketing. ArtMoi is a cataloguing software for the art industry. Artwork Archive is a collection management platform used by individuals and organizations around the world to manage, track and organize all aspects of their collections. Over the last decade, Artwork Archive has established themselves as one of the premier art inventory solutions, known for their intuitive, powerful and secure platform. Artwork Manager is a cloud-based fine art gallery software that handles invoices and contacts; tracks artwork inventory, consignor and artist details.Managed Artwork offers a comprehensive and intuitive art gallery management database built specifically for the needs of a fine art gallery. A.S. Gallery Manager was developed to suit the specific needs of our clients providing reliable, fully integrated solutions to their database needs, and designed specifically with art galleries and dealers. Axiell Art Management Software is an art collections management systems have been developed to meet the needs of some of the most prestigious arts institutions in the world, including Van Gogh Museum, Fondation Cartier pour art contemporain and Salvador Dali Museum. CollectionsIndex+ is a modular software system for collections and content management, handling your objects, archives, books, images, video, digital assets, and web and gallery content. Collectrium is an art collection management software that allows you to organize, track, and care for fine art and luxyry collectibles. You can also access images, records, and market analytics all on one mobile platform. CS Museum is the perfect starting point for private collections. Manage your collection like never before with location tracking, unlimited storage, dedicated tabs for all your financial transactions, and more. eHive is a hosted collection management system that professionally manages and showcase your collections. GallerySoft provides your art gallery with a quick and easy way to manage your clients, artists, artist payments, invoicing, inventory, mailing labels, art labels (with QR Codes) and much more, all in one integrated package. ITgallery is a modular software system designed to manage artists, artworks, exhibitions, contacts, sales, and clients. Primus is a collection management system for museums and other cultural heritage institutions. It is a comprehensive system that takes care of information about the collections and the routines and processes associated with them. Masterpiece Manager is global art technology that allows you to manage your inventory, track your clients, replace Constant Contact, pay artist consignments, synchronize your web site, run online auctions. Modes Complete is a customisable system designed to help control, manage and secure information. Museums, Historical Societies, Schools, Nonprofits, and other groups can now organize their collections without spending valuable resources on collection management database software. My Art Collection is a multi-platform software with customizable reports, art collection management & cataloging capabilities for artists and art collectors. My Online Art Gallery is an art gallery website automation and content management solution for online artwork exhibition and selling. Ownetic is a social platform where is possible to showcase, share and manage collectibles and works. PCS: Developers of P.A.C.S. (Professional Automated Collection System), with 20 years of software development. The Predator CMS debt collection system is a modern, advanced and highly functional debt collection system, developed in close cooperation with the debt collection industry for almost 20 years. Primer is an art database and client relationship manager designed for art galleries, artists and art collections to easily search, store, relate, and access artwork, contacts, transactions, and exhibitions. Proficio's user interface and features make the job of managing and accessing collection data streamlined and more enjoyable.Proficio streamlines the digital side of the collection management process so that it's a natural extension of the system you already have in place, so you can focus on what you love. Qi is designed for ultimate flexibility, collaboration, ease of use and speed for any type of information management. ResourceMate Museum provides comprehensive cataloguing, searching and circulating software as well as unmatched technical support to not only libraries, schools, churches, museums, government, medical/nursing - but any organization that needs to be organized. robotron*Daphne sets new standards in collections of all types and sizes: intuitive and convincing. Small Gallery Organizer Pro is a windows-based business management software that allows art dealers and art gallery owners to manage databases and inventory. S-Museum is a web-based software that has been specially developed for museums and contemporary cultural centers. It is mobile and very easy to use. Spinnsoft Galleryenables publishers and galleries to accelerate artwork sales. Includes invoicing, shipping, inventory and consignment management tools. TMS Suite, an interwoven platform of products designed to support your collection needs in the most efficient and cost-effective way. 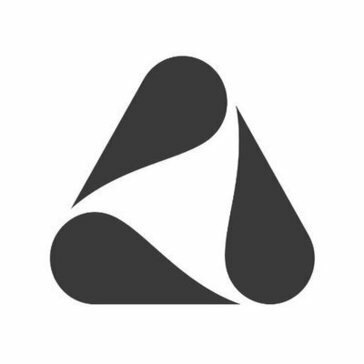 TrueAccord uses machine learning to fundamentally change the debt collection process. Vernon CMS is a mature Collection Management System that is flexible enough to grow with your needs. Hi there! Can I help you find the best Collections Management solutions?